Home > Investing > E*TRADE Review: Get Up To $600 Cash Back Now! E*TRADE is a well-known player in the online broker space and has been for decades. If you want a new online brokerage, or are just getting ready to start investing this E*TRADE review will help you see if E*TRADE is a good option for you. As a disclaimer, I do want to be transparent in that I do not have an E*TRADE account. I dealt with them extensively during my days in the online brokerage industry and have used the E*TRADE platform quite a bit. With all that out of the way, let’s get on with the E*TRADE Review. The commissions at E*TRADE come in at $6.95, with an additional $.75 if you trade options. This makes them competitive with other brokers, albeit on the higher end. 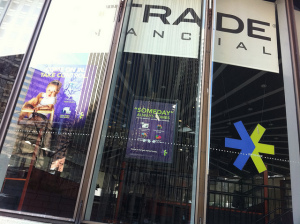 E*TRADE has a national branch network of a little over 30 branches. This is not as much as what you’ll find with Scottrade, but I love that they offer somewhat of a branch presence. If you’re near a local branch you can take in deposits, get help with your account or get guidance in certain circumstances. E*TRADE offers more than 8,000 mutual funds with about 1,500 being no-transaction fee funds. In the event you have to pay a commission, they charge $19.99 to buy or sell the mutual fund. Many other brokerages charge $50 or more so this is a win for E*TRADE. If you invest in mutual funds or ETFs, then make sure you know what kind of fees you’re paying. I use the free tool at Personal Capital to help analyze the fees I’m paying. E*TRADE offers both Futures and Forex trading. This is becoming somewhat more common to find at online brokers, but still not commonplace. Futures pricing is $1.50, which is competitive and there is no charge for Forex trades as they’re compensated on the bid-ask spread. E*TRADE offers over 100 commission free ETFs. There are a few brokerages that offer this feature, though not all. Very few offer as many as Etrade does. E*TRADE offers access to certain foreign markets. This is something that really sets E*TRADE apart as not many other online brokers offer this. You can trade in Canada, France, Germany, Hong Kong, Japan and the UK. Pricing varies by country, but is competitive from what I’ve seen. What’s Needed To Open An E*TRADE Account? One thing I like about E*TRADE is you need very little to open an account. You can open an account with E*TRADE for as little as $500. If you need a retirement account, E*TRADE has no minimum balance. This makes them a great option to consider if you’re looking to start investing on a limited budget. E*TRADE has a full array of account options from the standard brokerage account, to retirement accounts, to corporate accounts and more. I hate investment fees as they only eat away at portfolios. From that aspect, E*TRADE is a good option as they do not charge any account maintenance or inactivity fees. The thing I don’t like about E*TRADE though is their tiered commission system, which is based on the number of trades you do each quarter. Many other brokerages operate in this same way, so it’s not all that uncommon. The other drawback, albeit not fee related, is E*TRADE has a platform available only to those they deem as active traders – placing at least 30 trades per quarter which is known as E*TRADE Pro. Again, this is not too uncommon, but is something I’d rather not see. You can always try to negotiate commission, which I’ve seen done successfully many times. If you’re looking for a lower cost alternative which doesn’t have separate platform options then someone like Optionshouse or would be solid options to consider. This access to multiple products is what helps E*TRADE stand out from many of the other brokerages out there. With many other online brokers you may not be able to manage your entire investment portfolio due to the limitations they have. That is not something you have to deal with at E*TRADE. Again, this largely goes back to their standing in the industry as well as age. If you want the capability to manage all your investing needs as a do it yourself investor then E*TRADE is a good option to consider. I believe for many E*TRADE is be a solid alternative. Their platform is relatively straightforward to use and offers the requisite free training, resources and tools to help you build a portfolio. I love that they have a branch network and have access to a wide variety of investment options to meet your needs. They’re also open 24/7 which is surprisingly not that common to find in the industry, but means you can reach them at any time. E*TRADE has also been rated as 5 stars by Kiplinger’s for things like customer service, user experience and investment options and has been named one of their top brokers. I’m honestly not keen on the different platforms and tiered commission. However, if you’re not an active trader or want advanced platforms then that’s really a moot issue. For the casual trader, or buy and hold investor, E*TRADE is a good option to consider for your investing needs. If you do look at opening an account with E*TRADE they offer a variety of promotions from free trading for the first 60 days to up to $600 cash back when opening a new account. Open an account with E*TRADE today and get up to $600 cash back! Where do you handle your investments? Have you ever tried negotiating a lower commission price? Get up to $600 cash back with a new account at Etrade! Summary : If you're needing a solid broker with great tools and decent promotions, Etrade is worth considering. Great review John! The thing I like most about E*Trade is their learning tools. They have really helpful and informative videos for people who need some extra guidance. Thanks Shannon! I completely agree, Etrade has some awesome videos and tools to help out those that need it. I know a number of different brokers offer similar things, though not all do, but have really liked what Etrade offers for them. That’s awesome. The $600 would make a great start to any trading account. Investing on a regular basis is the best way to take advantage of market dips so everyone should consider getting a low fee brokerage account and investing regularly. I know! What’s even better is that it’s a tiered promo so it’s not all or nothing. I have limited budget and I am kinda surprised about that for as little as $500, I can open an account. After reading your post, I am encouraged because for one reason E-trade do not charge any account maintenance or inactivity fees compared with others. I’d like to give it a try! Thanks John.